Below is the summer 2018 math and reading work. Please click on "math" or "reading" for the respective grade level your child will be entering in fall 2018 to see the assignment. 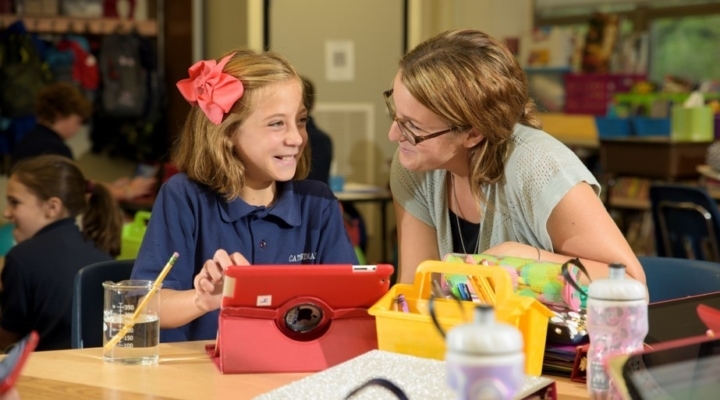 Every class at the School of the Cathedral uses Google Classroom to create a robust, technologically-advanced classroom experience. Teachers post announcements, assignments, and questions on their Google Classroom site, and students complete and submit work directly in the class' site. Students and parents will have access to their child's Google Classroom site(s). For the initial invitation to your child's Google Classroom site, please contact your child's teacher. Once you have logged in once, you will be able to access all your child(ren)'s Google Classroom sites here. Photo at top courtesy of Coyle Studios.